The nursery is located in the greater Charlotte metro area. It was purchased by the current owner eleven years ago and moved to a prime location. The business is situated on 1.4 acres of land, complete with green houses and hot houses. There is an additional seven acres of growing fields. The inventory includes from the smallest size plants up to ball and burlap size trees. Most are purchased in truck-load quantities allowing for competitive pricing. Profit margins can run as high as 100% on some items. Inventory varies by season ($100,000-$200,000) and is not included in the sale. The nursery stocks common gardening items as well as the hard-to-find plant varieties. The current owner purchased this business after a career in corporate America to have an outdoor lifestyle. This would be a good family operated business. 1. Scanning paper documents, making them accessible in electronic formats on a variety of devices including computers, tablets, mobile phones, etc. Company has developed an efficient, consistent system that guarantees customer projects are delivered on time, on budget, and in a user-friendly format to save the customer time and money. More than 80 percent of their employees have been with the company for nearly 10 years. Customers from a wide range of industries, including healthcare, government, construction, financial, legal, educational and general business with a primary specialty in health care. Services include document conversion, storage and retrieval systems, scanning hardware and software, disc publishing systems, forms creation software and a full line of tablet PCs for the forms software. Also provide data conversion services—film to digital, for example. Can offer assistance to integrate scanning systems with customers current operational system, so the customer can scan and store documents on your own. This 10 year old company that does granite fabrication & installations and is recognized as one of best in the region for quality and service the area. Sales well over a Million dollars, the owner is retiring and has not owner operated the business in 3 years. There would be an additional $60,000.00 in cash flow for the new owner, if he or she owner operates the business. The staff has been with the firm for some time. They intend to stay on with the firm. The suppliers’ relationship is in great standing with the company which will make a smooth transition. Owners will train & assist for a period of time, to be negotiated. 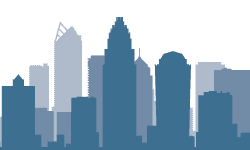 Future sale for the Charlotte market is huge with the growth of our city. This gives it unlimited growth potential. Please Contact Bill Steffens, (901)355-0950. This Central North Carolina Company provides a unique restoration and exchange service for, primarily, fast food restaurants that use standard aluminum baking pans. The Company's service is designed to maintain clean pans using a proprietary process which are then exchanged on a quarterly basis. This eliminates the cost and hassle of continually purchases new pans, which is generally less cost efficient. The Company currently services nearly 500 active customers in the SE with McDonald's their largest customer. It is a one of a kind service and process and their historical retention rate is 95%. Business can be relocated. Owner will assist in any transition necessary. Please contact Al Waugh @ 704 995 1912 or al.waugh@sunbeltnetwork.com for more information. Highly Profitable - Very Well Established - 3 Licenses Included: Skilled Nursing; Non-Medical; Nurse Staffing - Covers 90 Mile Radius of Charlotte - CAPIC, CAPIDA, PCS, VA, PDN, - Pediatric Home Care Services - Skilled Nursing Care - Elderly Care Services - Infusion Therapy - Blue Cross Blue Shield Provider - ACHC Accreditation - Please Contact Bob Schwartz @704.644.1149 or bobs@sunbeltbrokers.biz. This company caters to a niche market in fabricating their structural steel products. Very strong customer base and lots of opportunity to grow this company with strong management in place. They also own their 70,000 SF manufacturing facility. Serious Seller looking for a 5 X multiplier on adjusted EBITDA (excludes real estate) - working capital subject to negotiation. Note there is approximately $4 Million in net receivables which are not included in the price. 2017 Sales were $9,843,800 with adjusted EBITDA of $1,221,641 and 2016 sales were $7,147,680 with adjusted EBITDA of $1,038,495. 2019 projected sales are $13,000,000 with $1,300,000 EBITDA. The Seller is mostly hands off with strong management in place to run the company with key employees in place.